There is a lot at stake if you are convicted. Learn how our hands-on legal team may be able to help you. Criminal charges of any kind require an attorney who will put all of their energy and focus on the case and will fight for their client from the moment they take on the case. Conviction of a crime can turn a person's life upside down due to heavy fines, jail time, or even prison sentence. Their future success could also be stunted by the consequent criminal record. Are you in this situation? Our firm can help. We Also Take Cases in Los Angeles, San Diego, and Ventura Counties. In addition to serving clients throughout Southern California and Newport Beach, The Law Office of Frances Prizzia also takes cases from San Diego and Ventura counties. Because we deal with criminal defense on a daily basis, we know what it takes to beat your charges. At the Law Office of Frances Prizzia, our team is committed to providing high quality, aggressive legal counsel. Your future is our only concern. Not Guilty Not Guilty in 20 minutes on 4 counts of forgery on 2 different victims, even with a client's own confession! Dismissed Dismissed - People v. Eloy A. Dismissed Probation Termination - People v. Gustavo C.
Not Guilty Not Guilty verdict in an assault and battery case even after eyewitness testimony! Not Guilty Not Guilty verdict on DUI with injuries, where client had a strike prior and was on felony probation! Dismissed Dismissed - People v. Brian O. Why Hire the Law Office Of Frances Prizzia? We have a history of successful verdicts and settlements for over 12 years. Our team is also fluent in both Spanish and Tagalog. 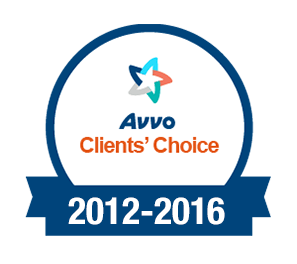 "Top 100 Trial Lawyers" by the National Trial Lawyers and Clients' Choice by Avvo. We accept payment plans and offer a free initial case consultation. The Law Office of Frances Prizzia serves clients in Newport Beach, Irvine, Santa Ana, and other surrounding cities throughout Southern California. We deal with criminal defense on a daily basis, and we know what it takes to beat your charges. 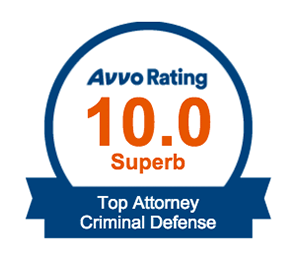 Our firm is recognized as an accomplished and dedicated defense law firm. 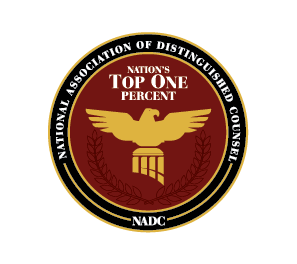 We provide defense counsel and representation in all types of criminal charges. Whether you've been charged with a misdemeanor or a felony, you know how important the quality of your defense lawyer is to your future. We commit the time and energy to your defense, which you will need when your life is on the line. We are familiar with defending against false accusations. Our firm knows how to build a solid defense. There's a lot at stake if you're convicted. Learn how our hands-on legal team may be able to help you. Don't face it without competent legal representation that you can count on! We know every case is unique, which is why we offer representation tailored to meet your needs.